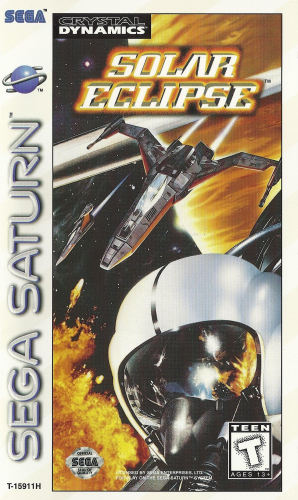 SOLAR ECLIPSE puts you behind the controls of an advanced space fighter. Try to complete 30 missions that span nine different planets. Along the way, you’ll have to work through multiple paths, and blast your enemies into space dust. Luckily, your wingman will cover your tail and provide a variety of tactical data. Don’t worry about missing any of the action thanks to two different camera views. As you gain success, video com-units and more than 40 minutes of full motion video will reveal the plot. Try to stay alive in SOLAR ECLIPSE.